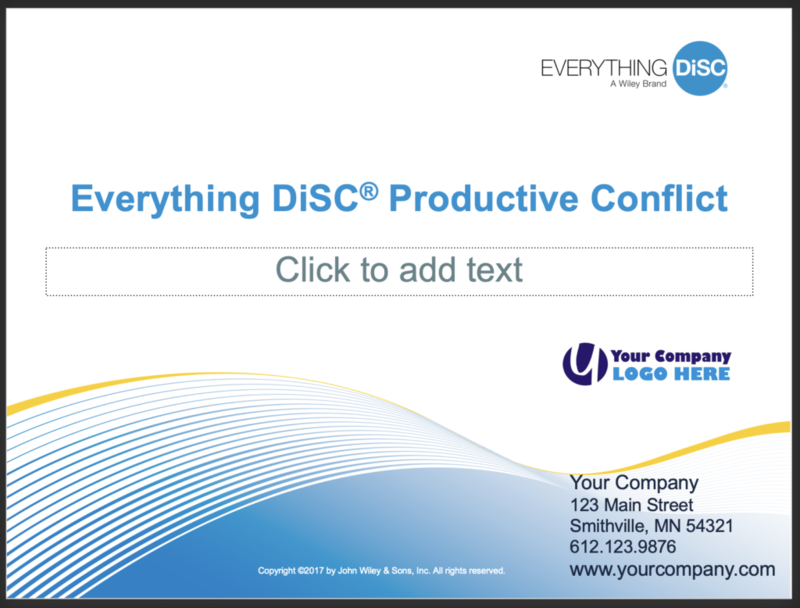 The Productive Conflict Training is broken out over three 50 to 90-minute modules. Additionally, the kit provides two optional modules so the training can take place during a full work day, or split up as a half day training with follow-up activities. Don’t have time for either a full day or half day? You can teach the modules individually over a period. 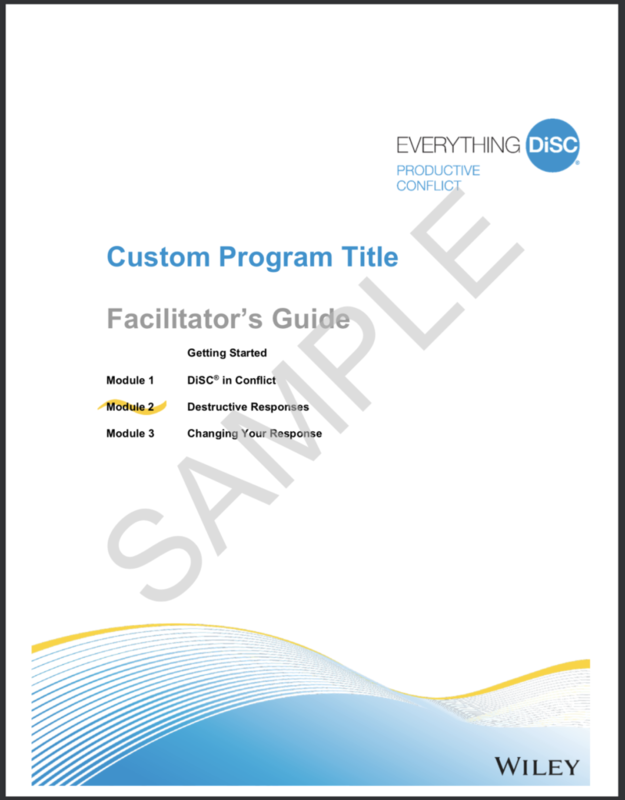 We offer three Everything DiSC Certification Options. 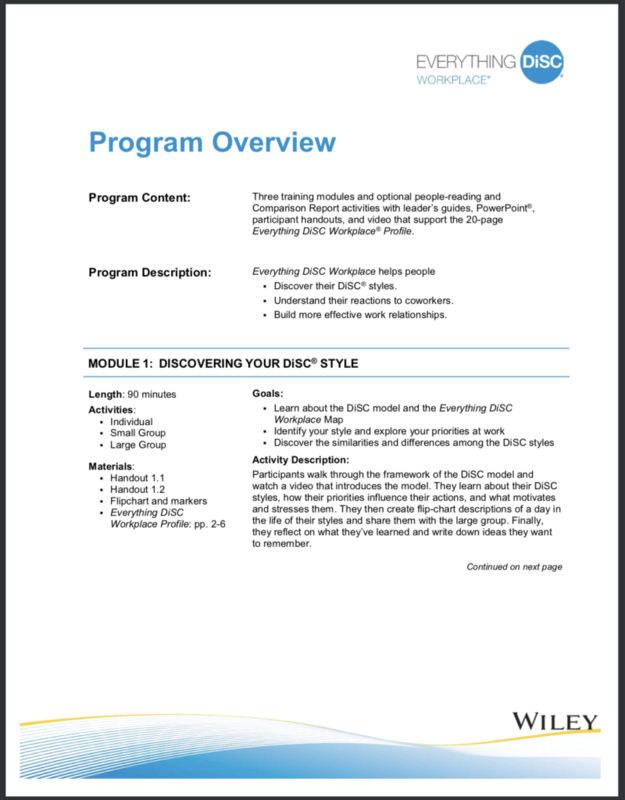 This certification focuses on the Everything DiSC Workplace profile and covers DiSC theory and how the DiSC assessment works extensively. Join us in-person in Lancaster, PA, Online, or in Minneapolis, MN. Pricing varies based on the certification options.